Cornwall Marine Network has teamed up with EU counterparts to record the skills unique to wooden boat building that are in danger of disappearing due to an aging workforce. The trans-national project will see skills recorded in boatyards across Cornwall, Belgium and the Netherlands over the next 12 months. This material will then be collated in an online training facility for future generations. The training package will be promoted across Europe to encourage people, businesses and organisations to engage in and with the traditional boat building sector and to encourage people to pursue a career in boat building. The programme, called ‘2 Seas’, is worth a total of £1m and is funded through the European Regional Development Fund. The area it covers includes the North Sea and Channel coastal areas in Belgium (Flanders), England, France and the Netherlands. These areas have been strongly influenced economically and socially by their maritime location and they are rich in maritime heritage. However, those responsible for the maintenance and preservation of historic ships in these ‘2 Seas’ areas are often working with limited funds or voluntarily, and the specific skills and techniques are known only to a small diminishing group of experts who are of progressing age. Workers skilled in carpentry, woodworking and rigging are becoming increasingly scarce. The Traditional Maritime Skills programme is therefore working to address this problem by promoting training and apprenticeships that will create a steady workforce of multi-skilled boat builders. And the project will benefit both historic and modern boat building since many of the skills in short supply today are closely related to the traditional boat building skills. CMN member Mash Derrick, of Mash Derrick Designs in Flushing, has been enlisted as a consultant to help research the roles and skills employed across traditional boatyards in Cornwall. 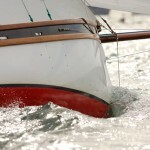 Over the coming months he will be creating movie clips, photography, computer aided design imagery and interviewing boat builders, which will be used to develop the Traditional Maritime Skills online site. 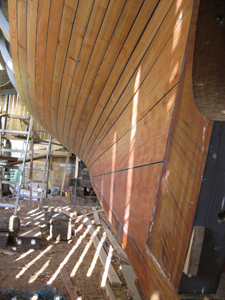 Cornish boat-builders supporting the project include Marcus Lewis in Fowey, Chris Rees in Millbrook and Jon Albrecht in Gweek. Very good job on a really critical subject. I genuinely enjoy your work and most pieces of facts in this report are really nicely place.